Posted by Vito Paratore on Tuesday, 5 December 2017. 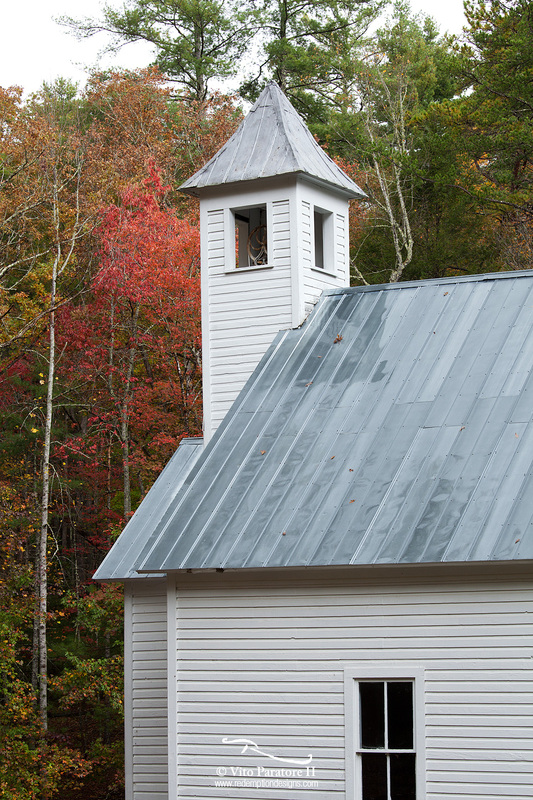 Beside the gorgeous mountain views from the valley of Cades Cove, there are also beautiful historic buildings to explore. This Missionary Baptist Church had more architectural features, with the steeple rising out of the smaller entryway and an apse behind the pulpit. The rain constantly falling gave a nice reflective surface on the roof and bolstered the saturation of the fall color behind.